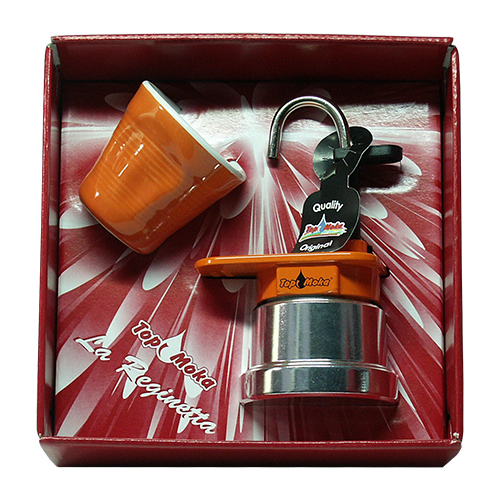 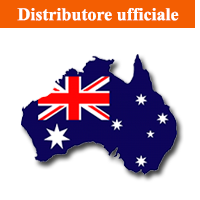 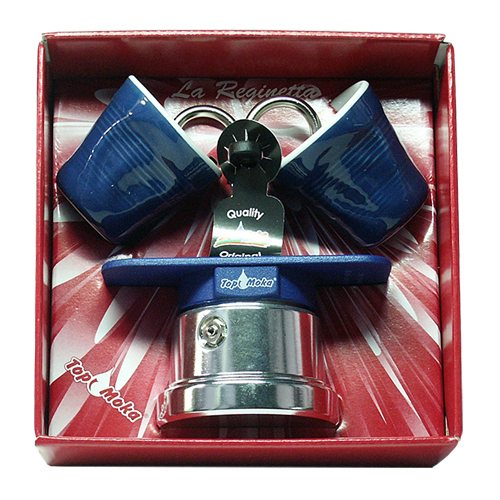 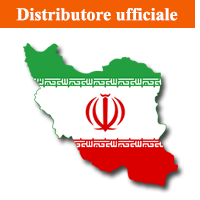 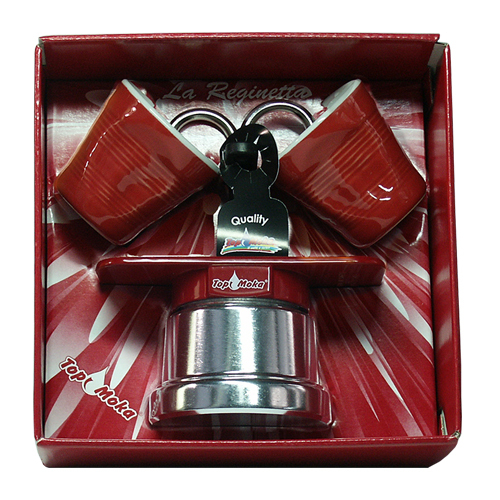 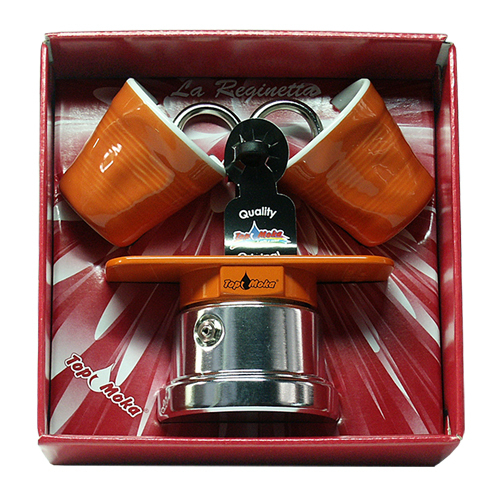 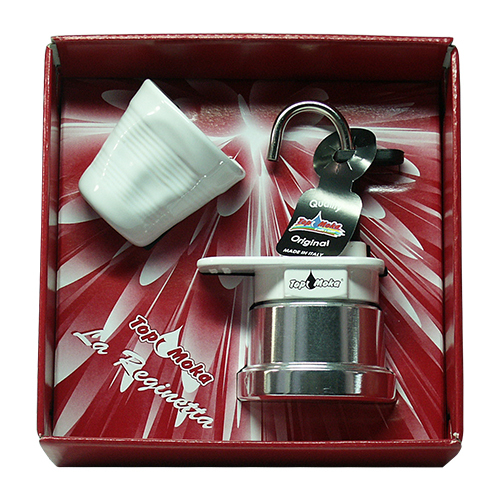 Gift boxes-presentation boxes-coffee makers in gift boxes-coffee pots with small glasses-coffee pots as a present-to present a Made in Italy product. 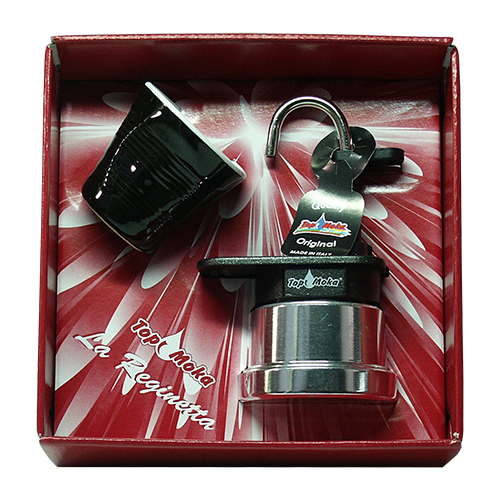 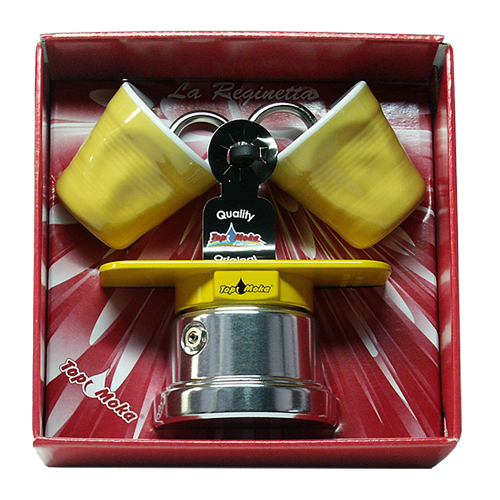 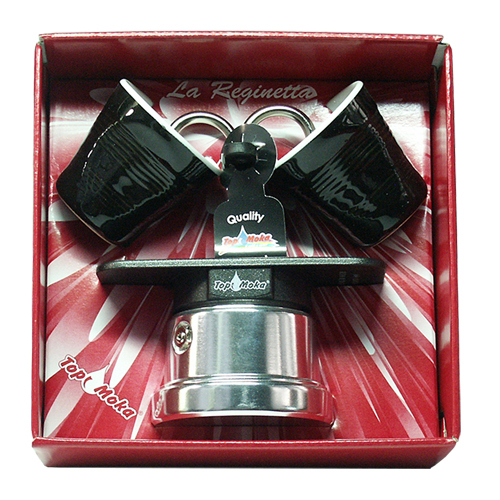 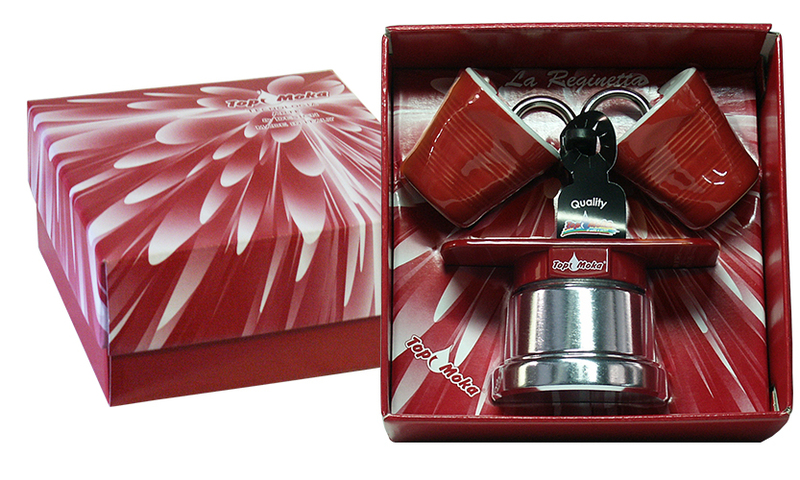 The "Queen Mini", the best sold Top Moka model in a gift box! 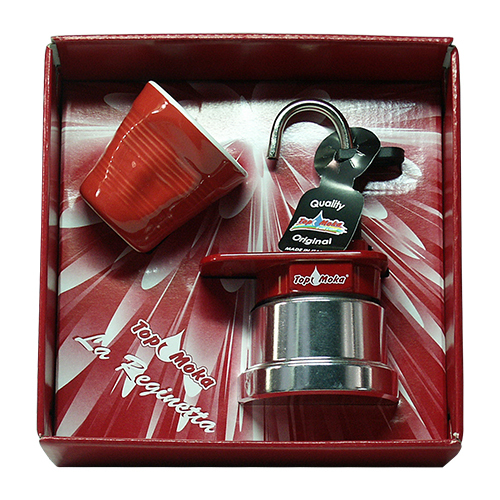 'Greatness' is...coffee by a great coffee maker! 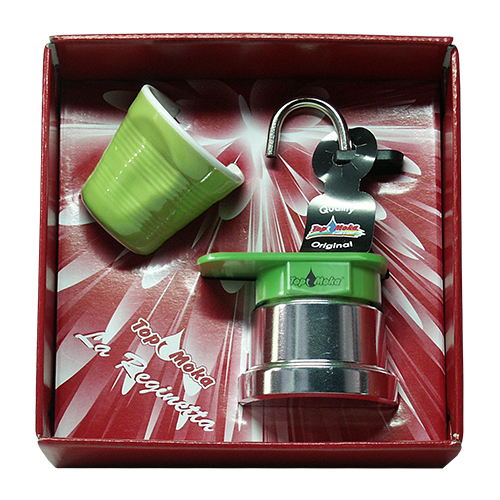 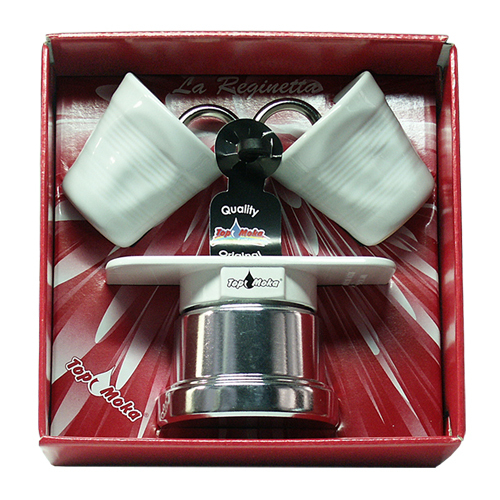 The Queen Mini is composed of a Mini 2 cups with Silver or Teflon boiler and two complementary 'squeezed' glasses, set in a gift box for a coffee pot of great class for all occasions. 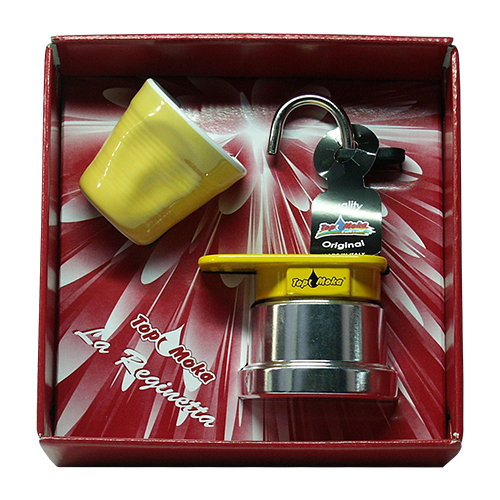 Available in 10 colors to prepare an Italian coffee with the flavor of our tradition.